Leave it to the San Diego Padres to find creative ways to lose. First, it was a 1-0 loss to the Houston Astros on a blooper, on Thursday it’s a 7-0 loss at Petco Park to the San Francisco Giants with a pinch-hitter recording the team’s only hit. 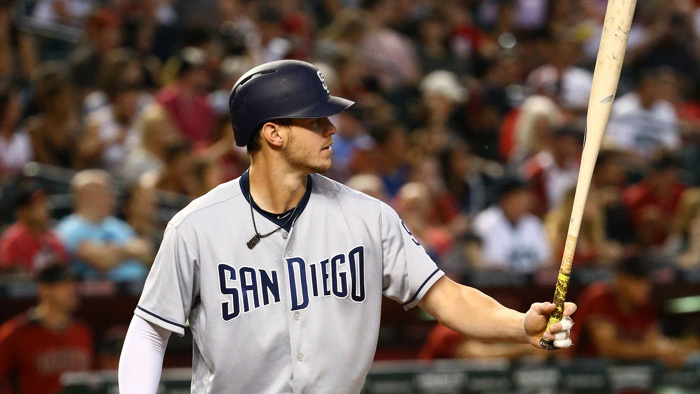 The lone hit came from Clayton Richard, who was pinch-hitting for Bryan Mitchell at the bottom of the third. Richard singled on a blooper over Giants second baseman Joe Panik. What was supposed to the Padres rally, who was down 3-0 at that point, quickly fizzled when Richard was tagged out on a double play off a Franch Cordero line drive to third base. The different story would be another Giants no-hitter against the Padres. Instead, Richard became the only pitcher to record the team’s lone hit in the Padres’ history and the first pitcher pinch-hitter in the modern era of baseball (since 1900). The last time a pitcher record a team’s only hit in a game he didn’t start was 83 years ago when Pittsburgh Pirates reliever Mace Brown did it on June 28, 1935. Other than Richard, Giants right-hander Chris Stratton held the Padres hitless over seven innings. Reliever Derek Law closed out the game with a perfect last two frames. Padres starter Mitchell had his worst game of the season, so far, Thursday. The right-hander threw 61 pitches with only 32 strikes and recorded two swing-and-misses. He walked three batters in the first inning and two in the second. Mitchell lasted three frames before being pulled.